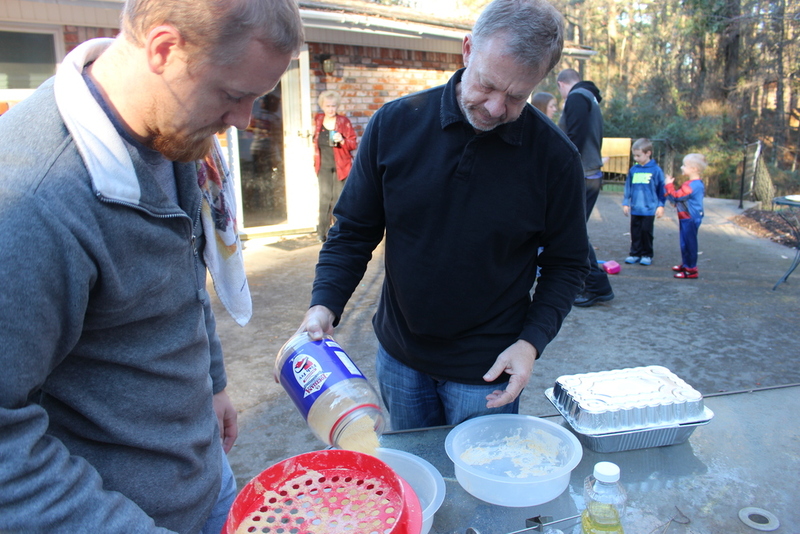 Our family decided to have a Cajun Christmas. We are Louisiana folk after all. Let me give you a brief cajun history lesson. A traditional Creole Jambalaya is a dish of meats (sausage, turkey, ham) combined with the cajun trinity (onion, peppers, celery) slow cooked with tomatoes, stock and rice. It's a creamy, spicy, bowl of comfort. 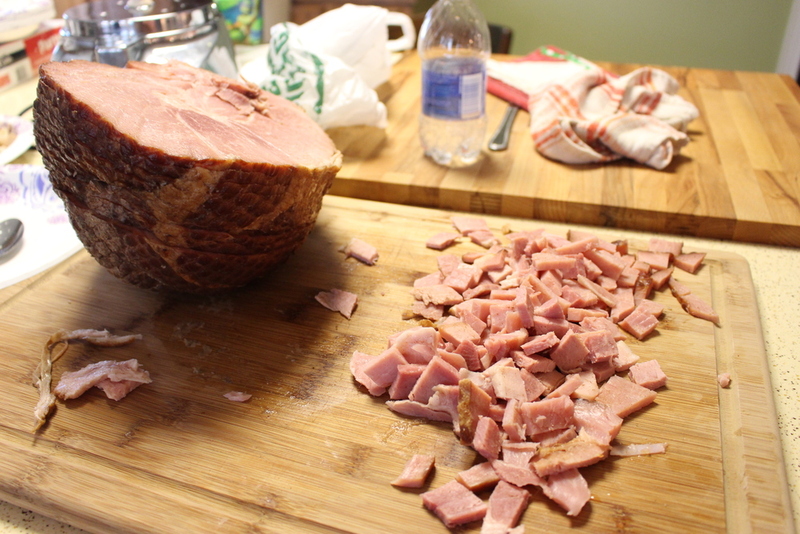 It gets its name from the French 'jambon' meaning ham, with the French 'a la' meaning in the style of, and 'ya' which is West African for rice. Jamb - a la - ya. 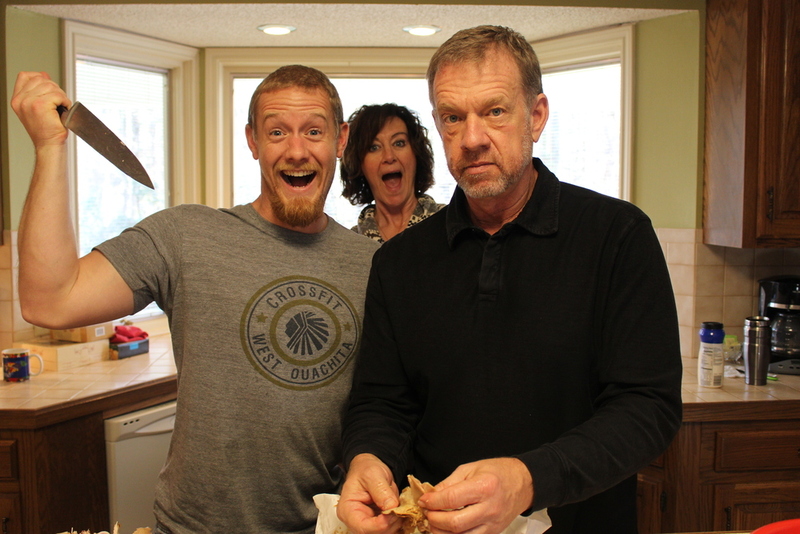 Side note: my dad is serious about deboning this turkey. Yum! 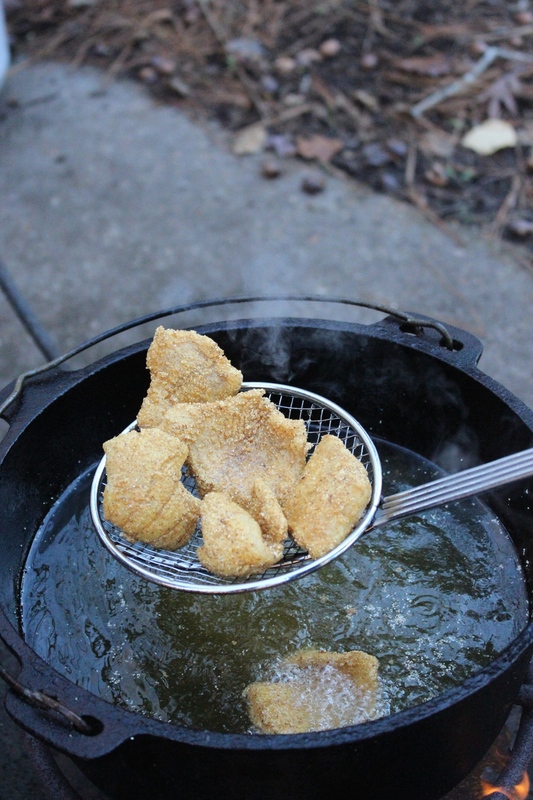 We served it up with some fried white perch, or crappie (pronounced croppy) as true southerners would say. These fish were caught by my dad and brother just a few days before we fried them. They didn't even hit the freezer. You know that's right. Sprinkle Emeril's Essence over the turkey. Cut the smoked sausage in bite size pieces and fry in the skillet. Once done, remove the sausage and sautee the veggies in the sausage grease. Pour the veggies in a dutch oven or big pot. Stir in tomatoes, chicken broth, veggies, cream of mushroom, and the meats. 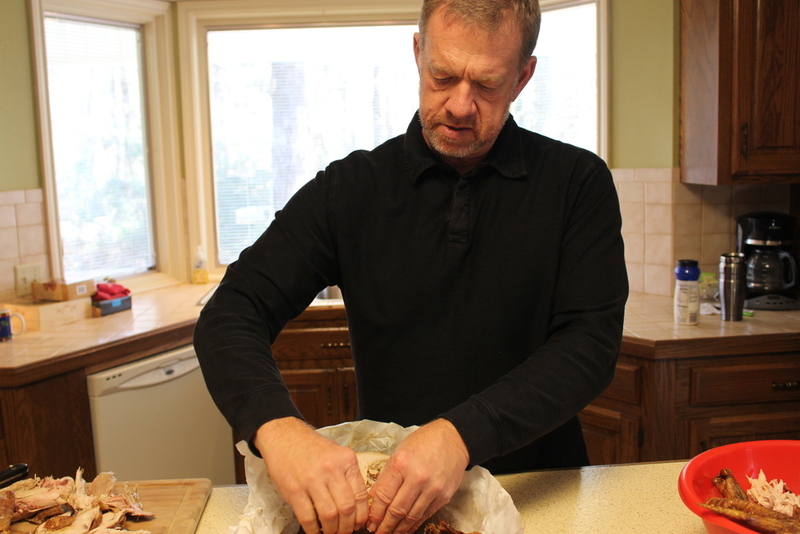 Gradually add cooked rice until desired consistency. Pour a little Louisiana Hot Sauce on top for extra flavor!